Thank you for the opportunity to focus on our goal of education. Much of what we do is prevention and teaching to reduce unhelpful interactions between wildlife and humans. This often happens over the phone when someone calls with a concern. We triage the situation to determine the best course of action for the animal. 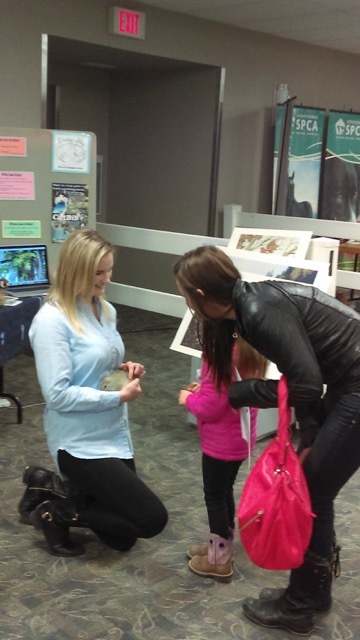 However, we also like to take direct steps to educate the public, especially children about our wild neighbours. We have been fortunate to have two different Ground Squirrels as education animals as they arrived singly and were unable to be returned to the wild. One was “Franklin” the Franklin’s ground squirrel, and the other is “Richard” the Richardson’s ground squirrel. We were invited to present to four classes, engaging about 100 students and their teachers in discussion about Ground Squirrels. 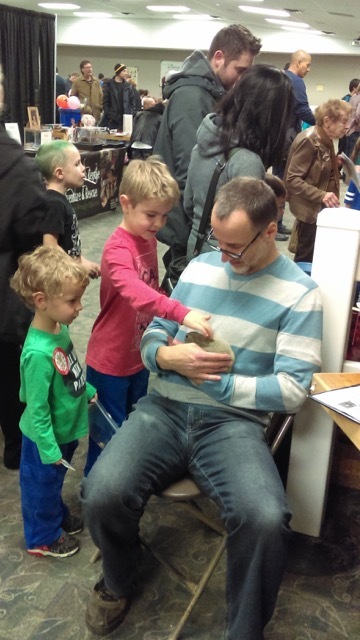 We gave a presentation at the Wild Birds Unlimited Store where “Richard” was able to hold the attention of the audience while they learned all about the value of his place in the ecosystem. We worked with a high school class every two weeks in the spring and used the Ground Squirrel as an ambassador to engage them in learning about and appreciating the value of wildlife. We have continued that relationship with a new set of students this fall. 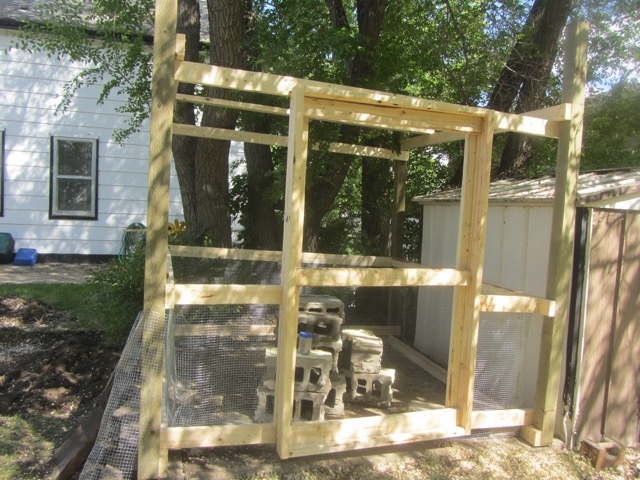 We built Richard an outdoor cage where he can spend his summers enjoying the sunshine and digging in the dirt, which is how he should be living. He looks forward to playing there in the spring! This was possible because of the move to the new site, providing the room to build, and also the financial support of SaskOutdoors. We lost our Franklin’s Ground Squirrel in the spring to pneumonia, and spent some time changing the presentation focus from the Franklin’s GS to the Richardson’s GS. This loss also meant taking some time to ensure that “Richard” was ready for public events. He has proven himself to be highly engaging and delightful. However, he fell at the beginning of summer and was on “bed rest” for most of the summer. Thankfully he seems to have recovered and is ready to continue as our wild ambassador. We also continue to struggle at getting the word out to the schools about our programs and availability. This may be compounded by lack of money available in the education system to spend on such programs, and what is available is focused on well-known programs such as the Zoo Society. We moved to a new site, so much energy was focused on renovating the house to be ready for the busy rehabilitation season, and the impetus to expand the educational programming was sidelined a bit although housing options improved significantly for educational ambassadors. 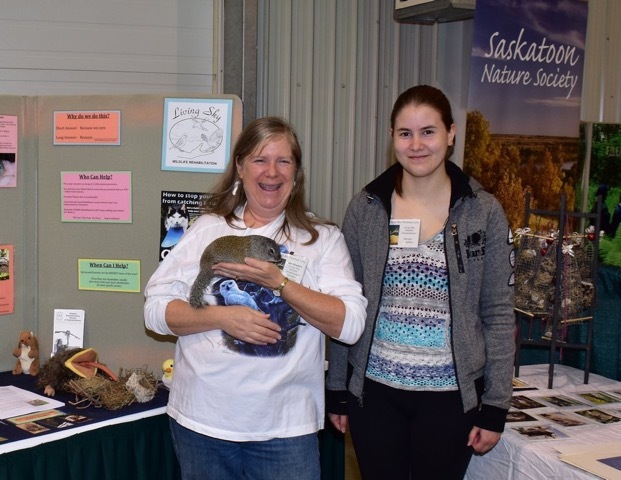 Acknowledgement of the Grant was accomplished through verbally thanking SaskOutdoors at the presentations, and a sign was posted at the Wildlife Rehabilitation Centre as well as on the booth display. Education remains a significant goal for us, and we are fortunate to have our “Little Richard” as an ambassador. The Ministry of the Environment does not otherwise allow for any protected species to be held as an educational animal, which significantly impacts our ability to offer such programming. 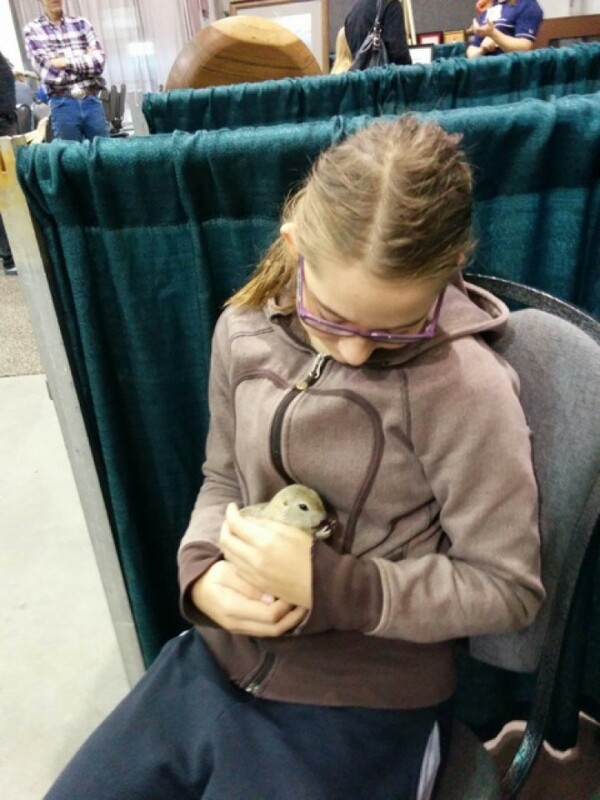 We are working with them as they re-write the regulations and encouraging them to develop guidelines that will allow us to retain non- releasable animals that are appropriate for educational purposes. The wheels of government turn slowly. Thank you again for your support, both financial and otherwise, of our programs. We hope to continue to grow this aspect of our work and become better known in our community to educate the public about wildlife and their importance to our lives and our well-being.